There has been a distinct lack of activity on this blog over the past month or so, but in the meantime I got MARRIED! 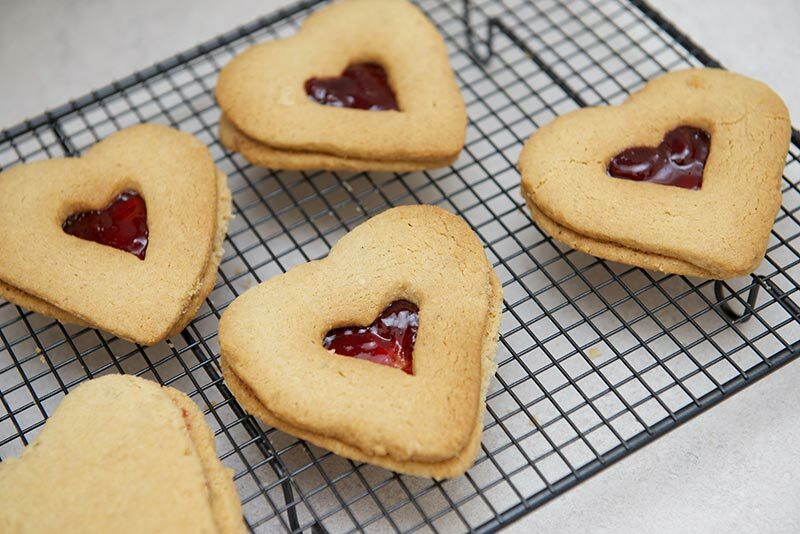 A lot of you will possibly be first time readers of the Nate British Bake Off, and you will have found your way here because of a recipe that we gave out on our wedding day along with a heart-shaped cookie cutter as our wedding favours. Anyway. 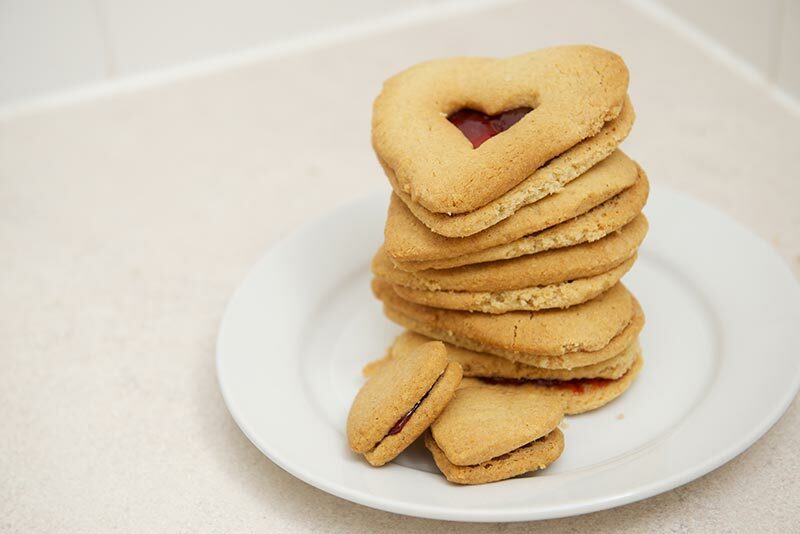 This recipe was taken directly from The Hummingbird Bakery Home Sweet Home book, (a present from Amy & Dave – thanks guys) and should be perfect to use your new cookie cutter on. Line a few baking trays with baking parchment. If you only have one, like us, you’ll have to bake in batches. 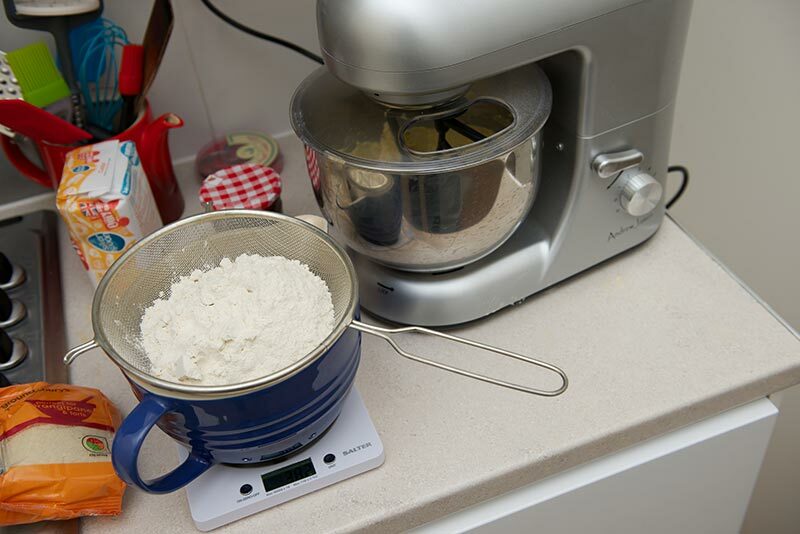 Weigh out your butter and sugar and using a hand-held or freestanding electric mixer with paddle attachment, cream them together until light and fluffy. 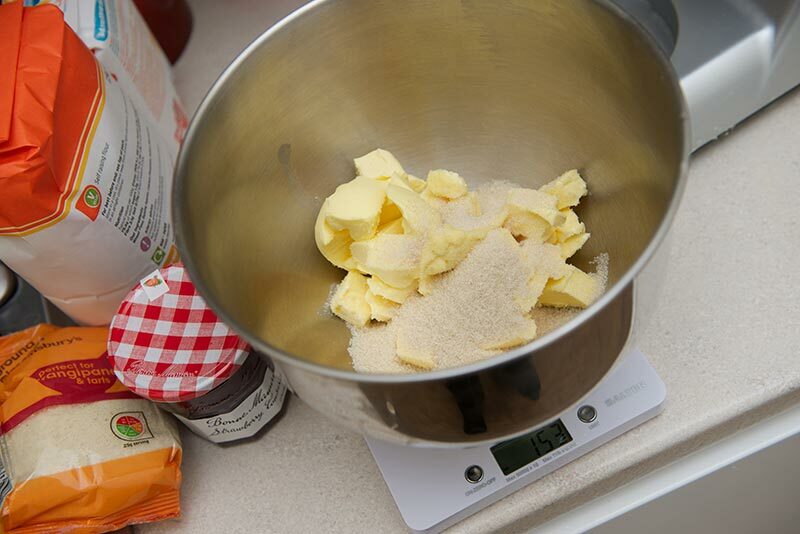 In a medium bowl, sift together the flour and cinnamon and mix in the ground almonds. 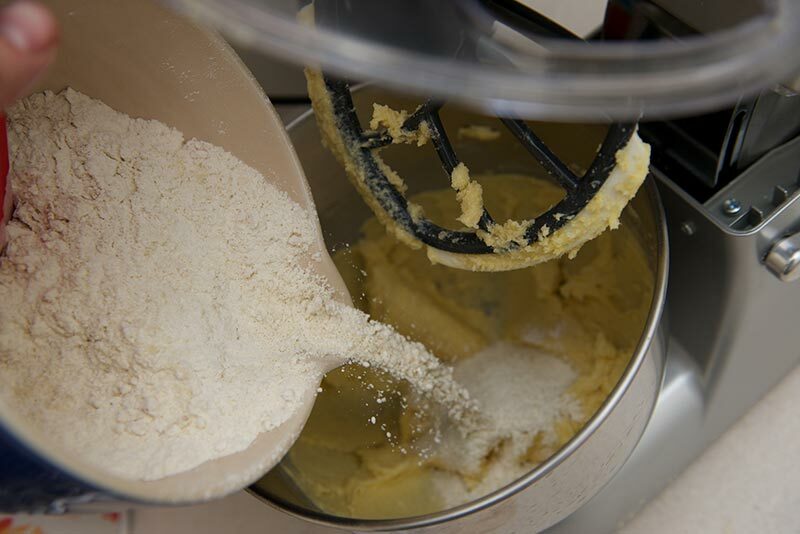 Add the dry ingredients into the creamed butter and mix at a medium speed until a dough forms. 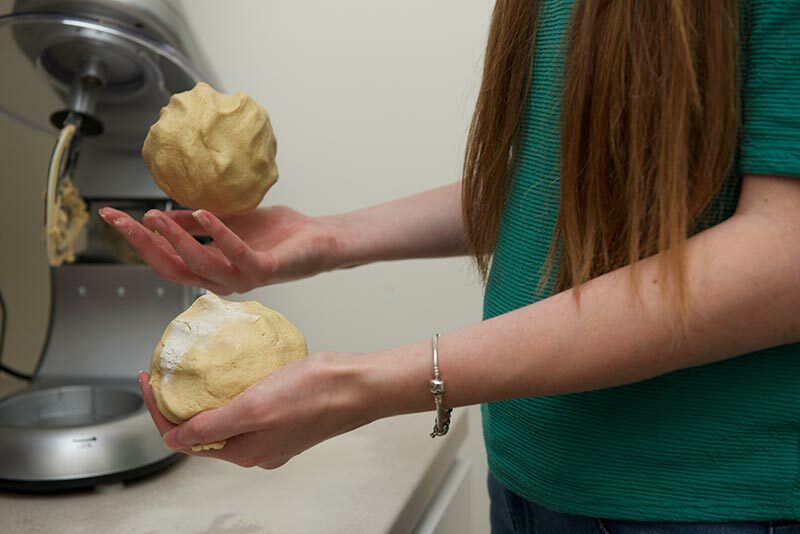 Turn the dough onto a lightly floured work surface and bring it together with your hands. 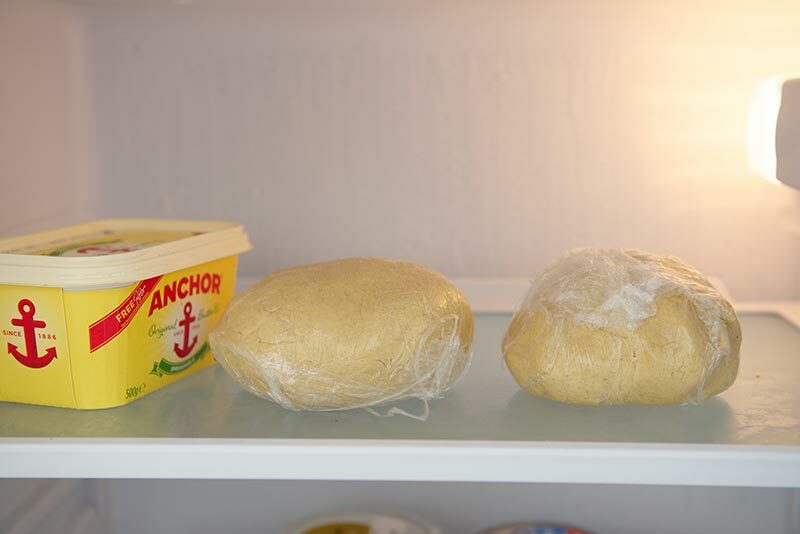 Divide the dough into two balls, flatten slightly, wrap in clingfilm and place in the fridge to chill for about 30 minutes an hour. 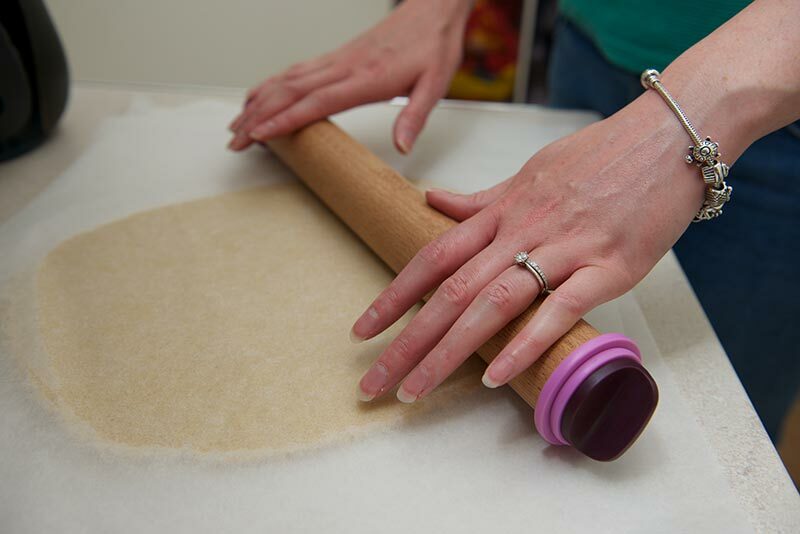 Once the dough has rested, roll out each piece between same-sized sheets of baking parchment that have been lightly dusted in flour!. So. When rolled out between the baking parchment, place each one on a chopping board and place in the fridge again for another hour at least. 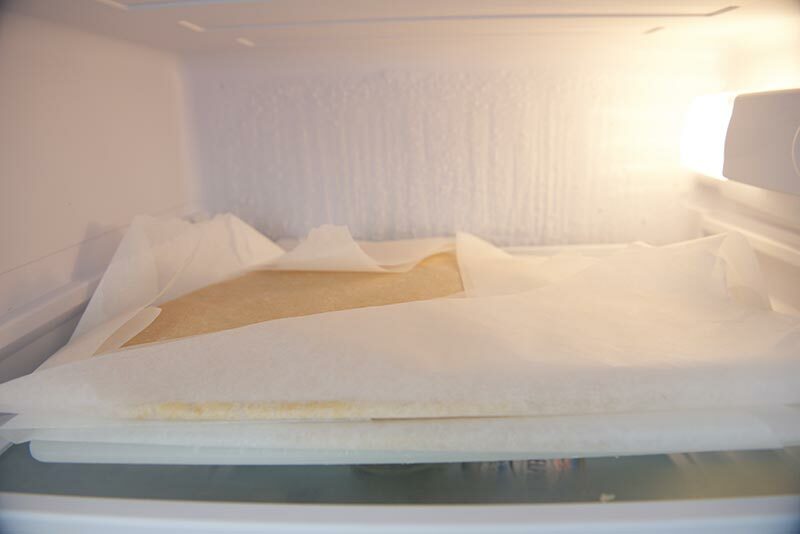 When you are ready to bake these cookies, turn the oven 170c, take the dough out of the fridge and remove the top sheet of paper from each piece. 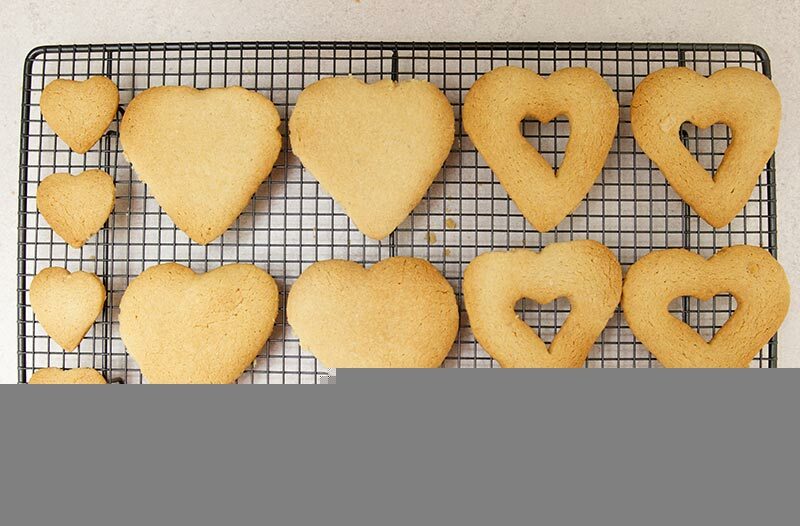 Using your heart-shaped cookie cutter, cut out cookies and place them on the prepared baking trays. 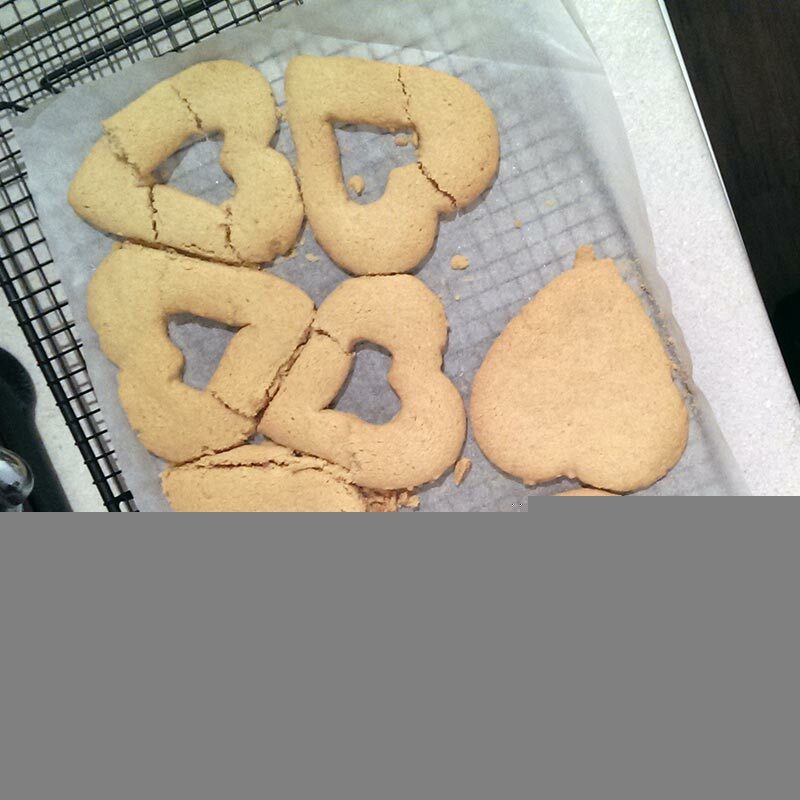 Use a smaller cookie cutter to cut the centres out of half of the cookies. 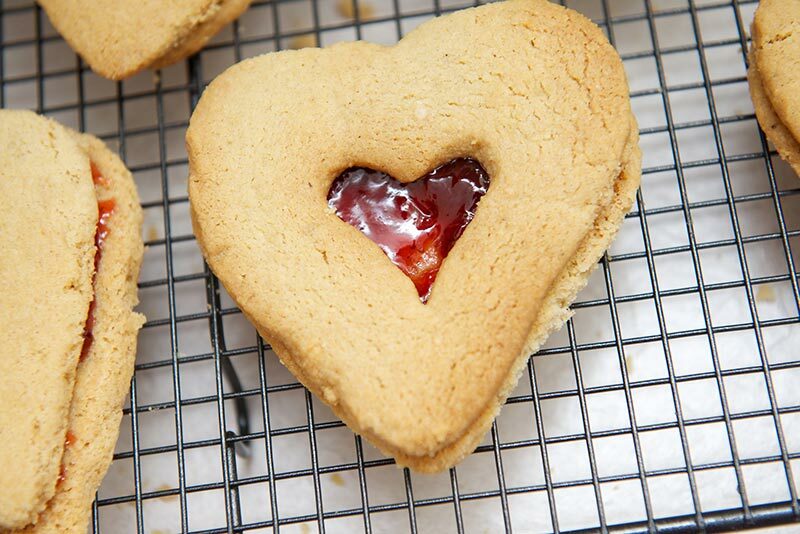 Ideally it would be a heart-shaped hole but if you don’t have one then any cutter will do. Bake for about 15 minutes and set aside to cool. 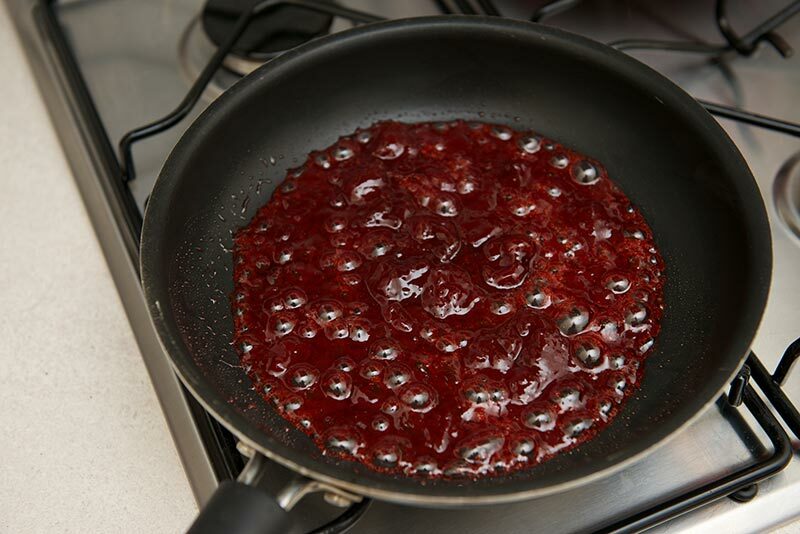 In a small pan, heat up the strawberry jam, bringing it to a gentle simmer. Remove from the heat and allow to cool slightly. 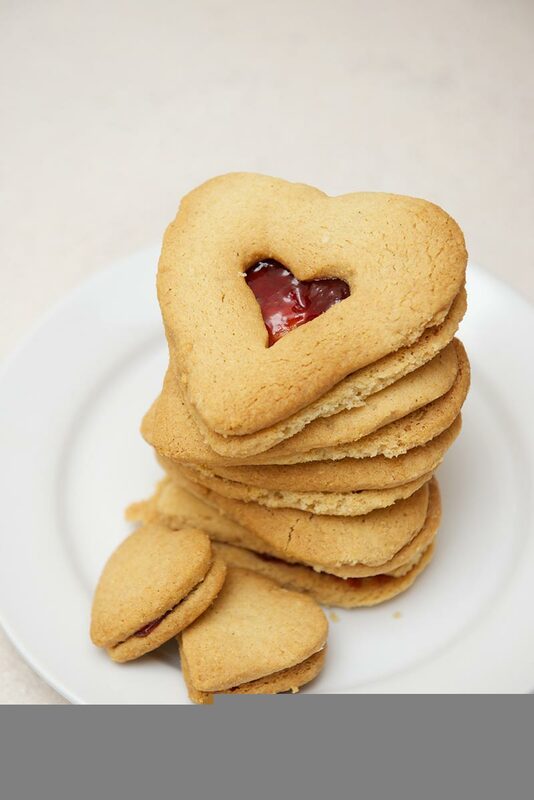 Spoon about a teaspoon of jam onto each cookie bottom, then place a cookie top on each to create a sandwich. 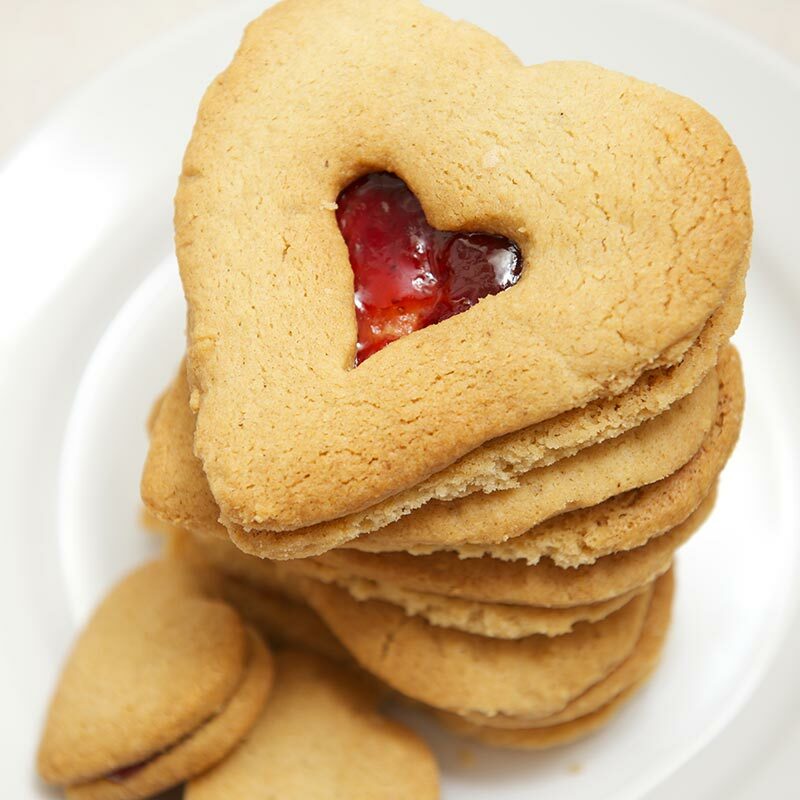 A lovely light cookie, that has a slightly ‘rusk’ish texture. Liv also said it was her favourite and gave it a 9/10 which is nice. I can’t wait to see everyone’s attempts at baking these cookies! Good luck! Thanks for the instructions – can’t wait to try it. 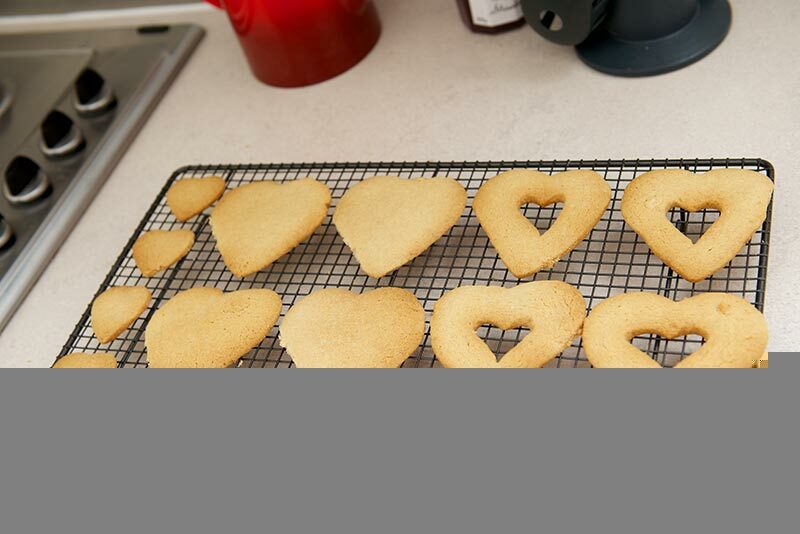 By the way, Ruth and I used the cutters for scones – heart shaped scones also look good! 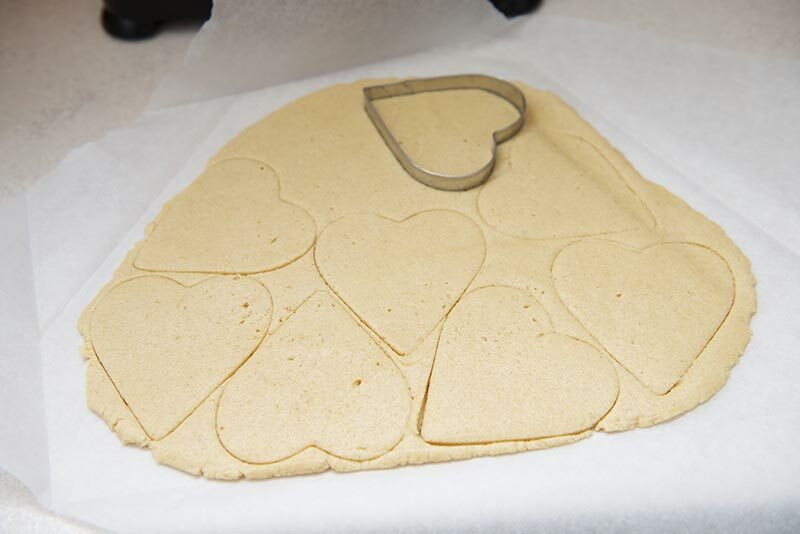 Ruth sent us a photo of the heart shaped scones they looked great. I cant wait to see how your cookies turn out! Made these over the weekend, very easy, although didn’t realise how much chilling time and fridge space would be needed until halfway through. Should have learnt by now to read a recipe all the way through before starting. Because we started these a couple of hours before the folks come round for dinner, they ended up chilling overnight,but other than that alteration everything went smoothly. We filled ours with leftover chocolate ganache from Kat’s cake club bake that she did yesterday. Yum!